The highly nutritional healthy food supplement that is rich in vitamins, minerals and fibers is sweet corn. These are good antioxidants and tasty snacks. This high carbohydrate content food is has many healthbenefits. Many people don’t know that corns are rich in fibers and low in fats, here are few more top sweet corn nutrition facts and its health benefits. Sweet corn is rich in minerals like zinc, magnesium, copper, iron, and manganese. This has same number of calories as that of apple and has less sugar content when compared to apple. The vitamin B9 that is folate that is present in them lowers homo cysteine levels an acid that damage blood vessels. People who are suffering from heart attacks can take it as snack to prevent yourself from heart problems. 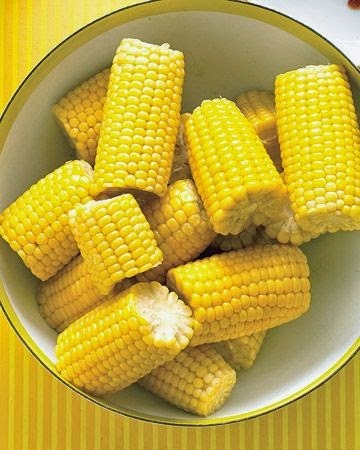 Vitamin B1 that is thiamine that is present sweet corn helps in improving memory power. Thiamine produces acetylcholine that is necessary for brain functionalities. Anemia is mainly caused due to the deficiency of B12 that is folic acid, sweet corn that is rich in vitamin B12 increases the iron levels in body. Vitamin A that is present sweet corn acts as a good antioxidant, which protects our body from free radicals and even helps in making connective tissues strong. It contains an antioxidant like zeaxanthin a yellow pigment that naturally occurs in sweet corn, that help a person from many age-related eye diseases. A chemical called as beta cryptoxanthin that is present in them is helpful for the prevention of lung cancers development.